HiltonHeadIsland.com » Blog » South Carolina Frequently Asked Questions? Here you will find some frequently asked questions about the State of South Carolina. • How Did South Carolina Get Its Name? King Charles I of England granted the land on which South Carolina is located to Sir Robert Heath in 1629. The region was named Carolus, a word derived from the Latin form of Charles, in reference to King Charles. His son, King Charles II, changed the spelling of the regions name to Carolina in 1663, when he gave the land to the eight Lords Proprietors. During the 17th century the land to the south, in this grant, came to be called South Carolina and the area to the north, North Carolina . The two sections remained a single colony until they separated in 1710. The name of the land located to the south remained South Carolina. • South Carolina License Plate? The South Carolina license plate has a dark blue palmetto tree, the state tree, against a sunrise background of orange. The Travel2SC.com web address on the bottom center of the plate directs visitors to South Carolina’s tourism website. • What is it about South Carolina beaches that make them so special? Well, it starts with variety. Whether you’re looking for a romantic escape or a family-friendly destination filled with fun and adventure, the beaches in South Carolina offer a million ways to relax and have fun. All it takes is one visit to a South Carolina beach to see why people everywhere say that South Carolina is made for vacation. • What is South Carolina’s Climate? South Carolina’s climate is humid and subtropical, with long, hot summers and short, mild winters. The subtropical climate of South Carolina arises from the combination of the state’s relatively low latitude, its generally low elevation, the proximity of the warm Gulf Stream in the Atlantic, and the Appalachian Mountains, which in winter help to screen out cold air from the interior of the United States. Brief spells of cold weather occur each year in South Carolina. Most of the state receives, on average, 49 inches of precipitation per year. Nearly all precipitation falls as rain, and most precipitation is received during the Spring and Summer. Snow usually occurs only in the mountains and upper Piedmont. • What time of year do the azaleas bloom in South Carolina? Azaleas usually bloom during the last few weeks of March and the first few weeks of April in South Carolina. The exact time depends upon the weather in the state. Cooler than usual temperatures usually postpone the blooming of the azaleas, while warmer than usual temperatures usually speed up the blooming process. 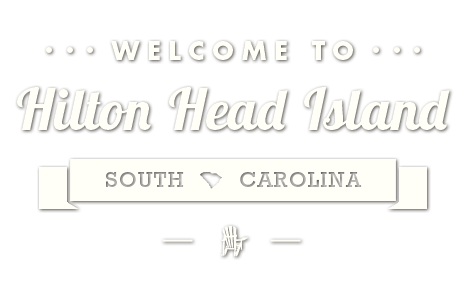 It is recommended that you contact the visitor’s center of Hilton Head Island for more detailed information. • What is the best time of year to buy fresh peaches? Peach season usually runs from the end of May through August in South Carolina. The peak months for peach season are June and July. • Are pets allowed on South Carolina beaches? Pets are allowed on some South Carolina beaches. There are local ordinances governing whether or not pets are allowed on the beach. Please contact the Chamber of Commerce or Town of Hilton Head Island about beach questions. • When is hurricane season in South Carolina? Hurricane season runs from June through November each year. The peak months for hurricane activity are August and September. • Where is Gullah Island located in South Carolina? There is no island in South Carolina named Gullah Island. Gullah is a culture that is associated with the Lowcountry area of South Carolina. The Gullah people of the Lowcountry and coastal areas of South Carolina are culturally the most distinctive African American population in the United States. The Gullah language, spoken by some of the Lowcountry African Americans, is a combination of King’s English, American English, and an African dialect. The Gullah culture is most prevalent in the Lowcountry area of South Carolina around Charleston, Beaufort, and the surrounding islands and towns.